Do you want to use your smartwatch whilst in water? Well, we have found you 10 of the best waterproof smartwatches that you can indeed use whilst swimming. As well as just being waterproof, many of these watches also have features that analyze your health whilst training in the pool, or you may just want to not have to take off your watch whilst showering! Regardless, you no longer have to fear that the watch will break. To make this device able to withstand any test, Samsung put the Gear Sport in a sturdy metal case and sealed all its connections so that it can withstand immersion up to a depth of 50 meters. Consequently, you can not only wear Gear Sport during morning runs and cycling races but also enjoy water sports and track your swimming activities without any problems. Even in the water, Gear Sport can track the rhythm of your movements, heart rate, calories burned and lap times. In addition, the gadget can independently record the various types of activity data such as the pulse. Gear Sport can connect to iPhone and Android devices. However, you get more out of the watch if you use it with a Samsung smartphone as more features will be available. This should be considered before purchasing. When syncing with the iPhone, not all functions work fully. Everyone knows that the best waterproof smartwatch for iPhone is the Apple Watch. Let’s take a look at Series 4. One of the features of this series is that these smartwatches can be used to monitor workouts not only in the calm indoor pool but also in open water. Apple started making waterproof smartwatches a while back with its Series 2 model. Even then, the waterproofness of the gadget suggested the possibility of diving to a depth of 50 meters. 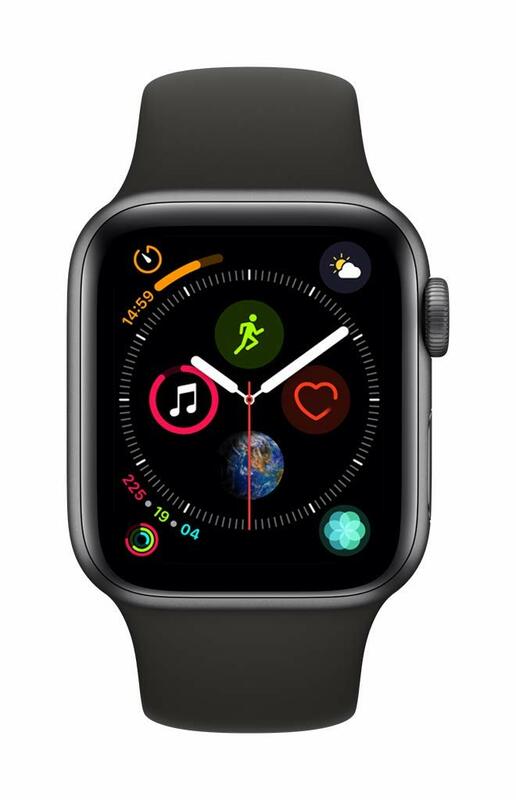 However, Apple Watch Series 4 received an improved gyroscope and accelerometer, which means they can track the number of strokes, distance and other important parameters even better. With regard to other workouts, then to the standard exercises, Apple added hiking, yoga, and swimming in open water. They use different parameters to calculate your result, but the most important thing is that all these parameters are counted clearly and without errors. -Use watch as a trainer for various sports. The wide range of functions. 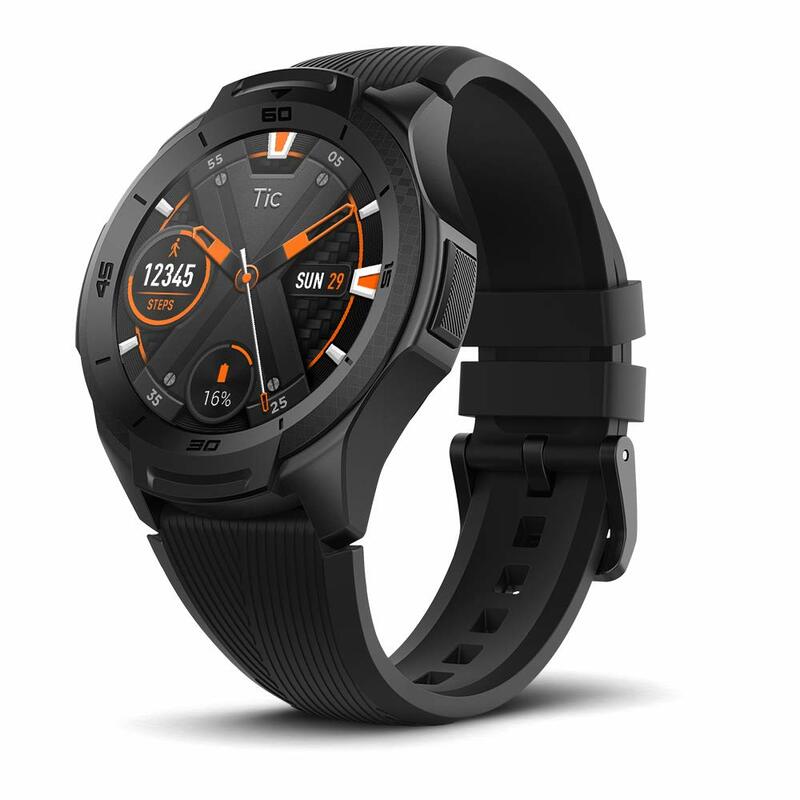 Externally, Vivoactive 3 has a classic wristwatch format. Suitable for any style of clothing, it distinguishes itself from many other sports solutions with bright colors. Also, this waterproof smartwatch is suitable for women’s wrists. Garmin VivoActive 3 supports data recording features for swimming in a pool but does not support swimming in open water so this may be a problem if you want to use it for sailing for example. It is primarily suitable for athletes because the main functions here are tied to sports: dozens of loaded disciplines, including swimming, golf, biking and snowboarding, an abundance of sensors, built-in GPS and the ability to work with tracks on the map from a mobile application. Plus, it also has a decent battery life: about 12 hours with GPS tracking on and up to a week of use as a smartwatch. Records and provides the most important sports metrics. No specific feature for open water. During swimming, the pulse rate measurement function is not available. 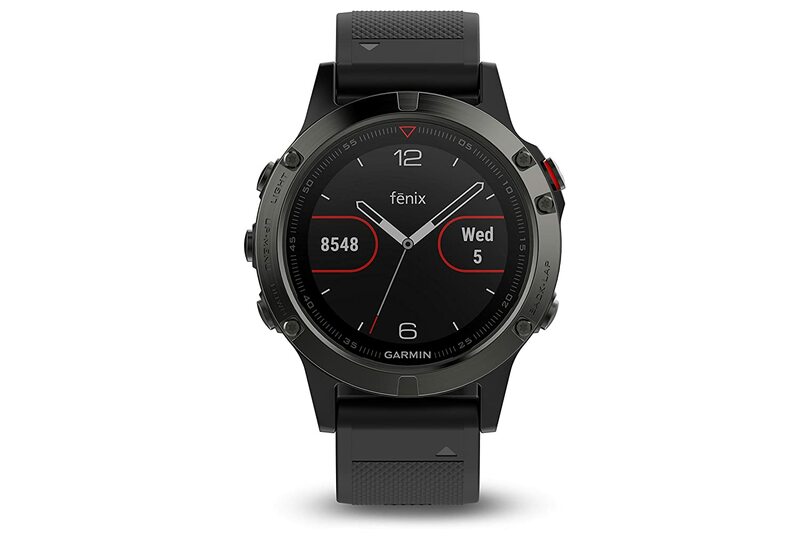 If you are looking for a reliable watch that can be taken on a hike, then the Garmin Fenix 5X is for you. This model has a scratch-resistant sapphire crystal screen, and the case is made of stainless steel. It can be perfectly synchronized with the smartphone yet, this smartwatch can also be an independent gadget. There are maps with routes, training data, a large number of sport modes and much more. The only thing that it isn’t able to do is to answer calls or messages, you can just look. But this flaw is present in almost all smartwatches. Swimming mode is very different from other sports modes. Fenix 5X supports swimming in open water and in the pool. For open water, GPS is used, and an accelerometer is used in the pool. The screen is still readable under direct sunlight. Sometimes you may experience synchronization problems with your smartphone. Looking for a functional and cheap waterproof smartwatch? Look no further than the TicWatch. There are two models E2 and S2, which emphasize different features. 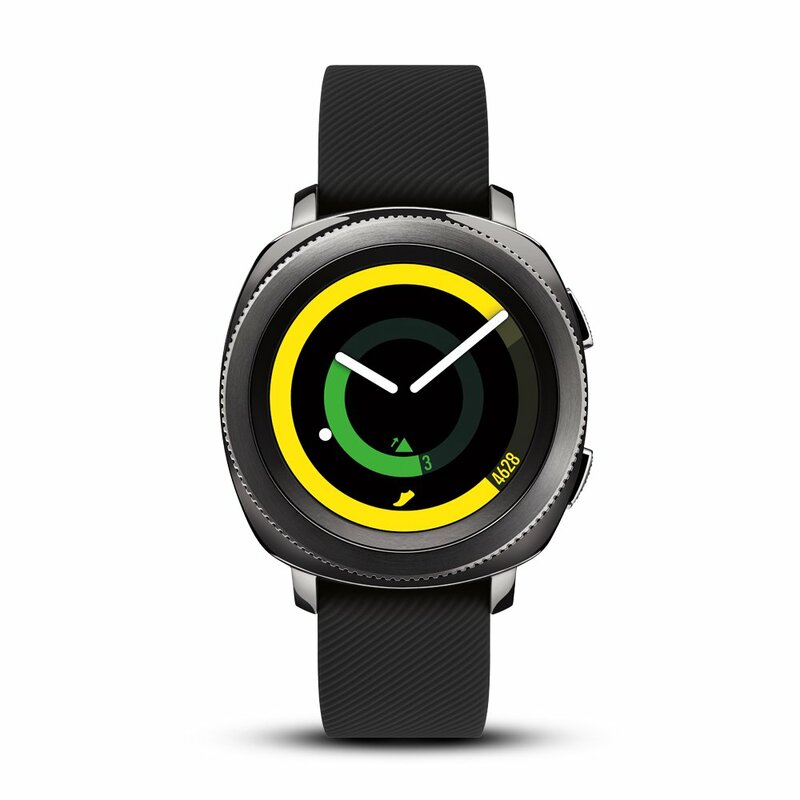 They are a continuation of Mobvoi TicWatch E and S fitness watches released on Kickstarter in 2015. Both new products are suitable for active sports and swimming, as they are waterproof (5 ATM). The watch has a number of features. Mobvoi can recognize movements and gestures to automatically launch various functions. For example, if you start riding a bicycle, the watch will automatically start tracking driving statistics without forcing the user to put the device into cycling mode before. This smartwatch also has all the standard features. Although there are some drawbacks if you take into account the cost, it really can’t be seen as a problem. Special movement recognition technology . There may be problems with the software. Love hiking and training in the mountains? With Ambit3 Peak rugged smartwatch for iPhone and Android, you can conquer any peaks. 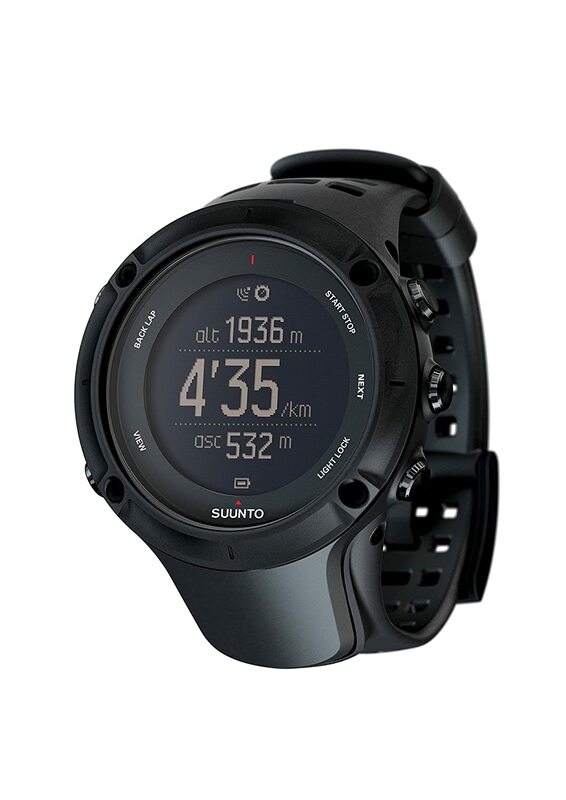 Suunto Ambit3 Peak smartwatches can work up to 30 hours with a 5-second GPS accuracy – which is superior to models in the earlier series. With it, you can go hiking or run in the mountains and your body’s health data will be constantly recorded, as well as the navigation features (including a built-in compass) helping to keep you on the right route. The watch also displays the battery life percentage on its display, and it can last up to 30 hours. The gadget includes a barometer and an altimeter and is able to show the time of sunrise and sunset. Another difference in the model is the height profile navigation function. These smartwatches monitor changes in the heights on the route during its tracking process. This function is useful for navigation in the mountains or hilly terrain, as well as when analyzing the route traveled. A large set of functions for different types of activity. There are problems with the interface. Previously Fitbit wasn’t seen as a competitor to Apple or Garmin watches. 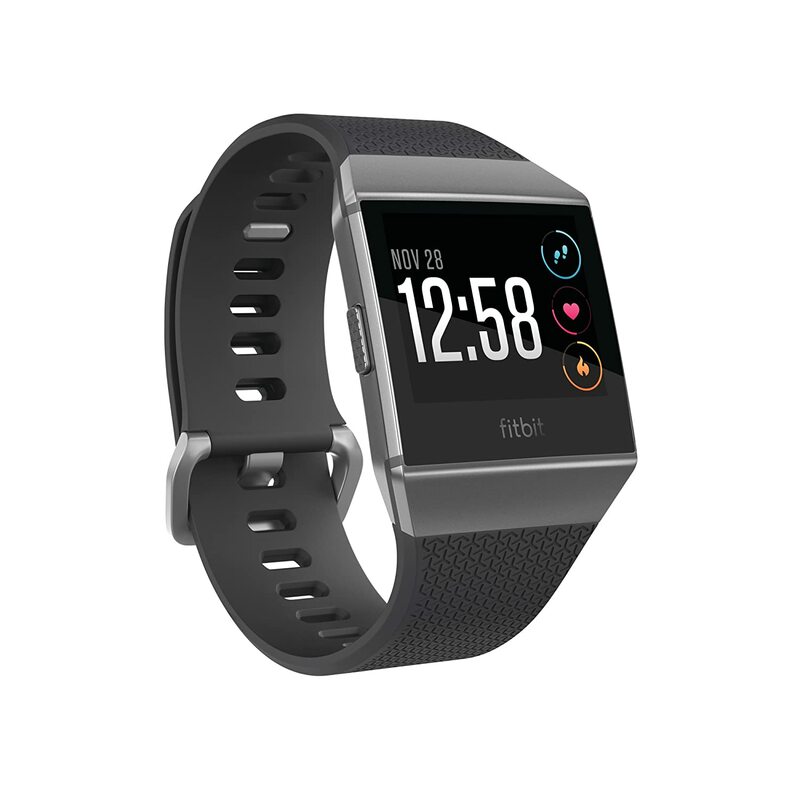 However, the Fitbit Ionic received a lot of new features such as the ability to play music, GPS and an app store to buy more. 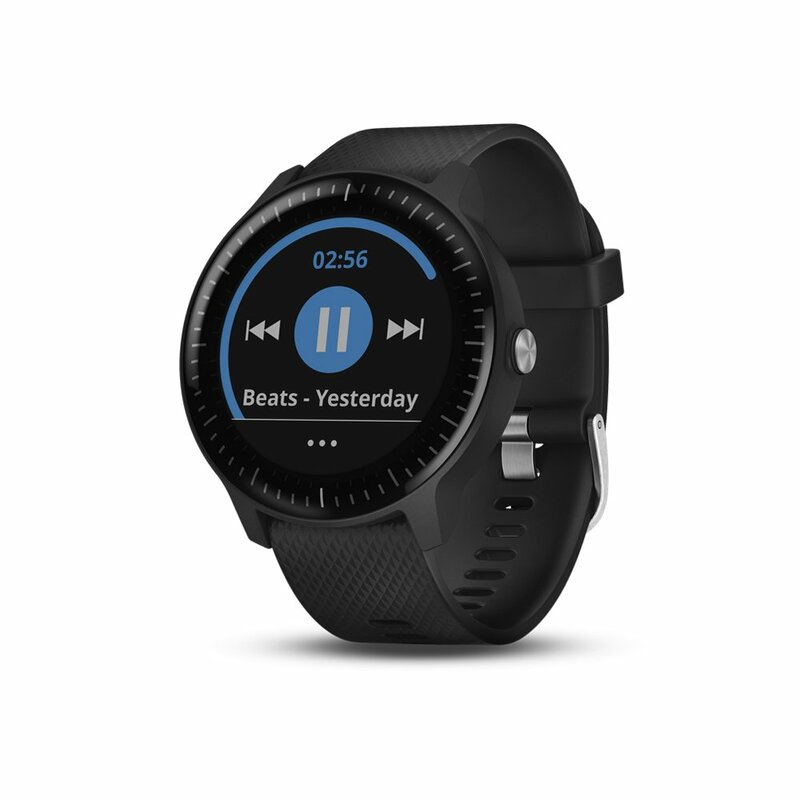 You can connect wireless Bluetooth headphones to your watch and listen to music directly allowing you to run or exercise without a phone. The watch has 2.5 GB of space where you can save all your songs. There are no problems with playing music. Another feature of the watch is the ‘Coach’ section. This is your personal trainer. There are several free training options that allow the watch to learn about your body specifically. Then, you will be offered to buy courses that are suitable for you. Conveniently, the watch shows a video of how to do the exercises, and also monitors how you do them. You can store music right in the watch. You can transfer music only from your computer. 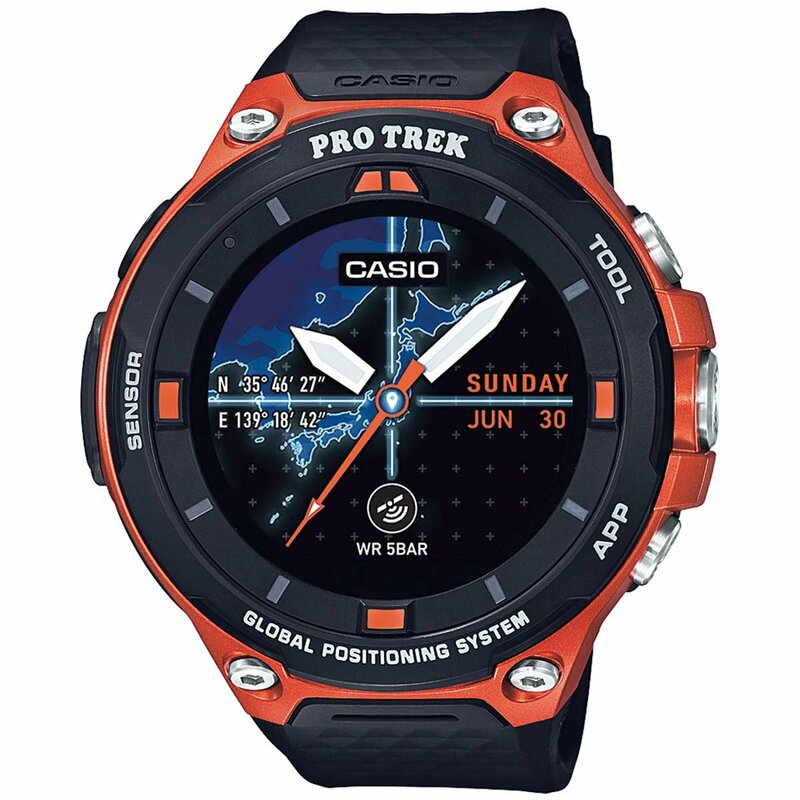 The Casio Pro Trek Smart WSD-F20 is equipped with the Android Wear 2.0 operating system with a simplified interface and the Play Store application store. In addition to the usual functions of Android Wear, smartwatches have the ability to track your environmental parameters. You will see the data of the compass, altimeter, and barometer just by looking at the wrist. To track activity during hiking, fishing, cycling, kayaking, skiing and snowboarding, relevant applications are installed here. There are also many options for responding to notifications: a standard set on the keyboard, a choice of suggested words and emoticons, a voice text message, and even Smart Reply with machine learning. You can connect the iPhone to them, but in full, all functions are available only when you connect an Android-based smartphone. 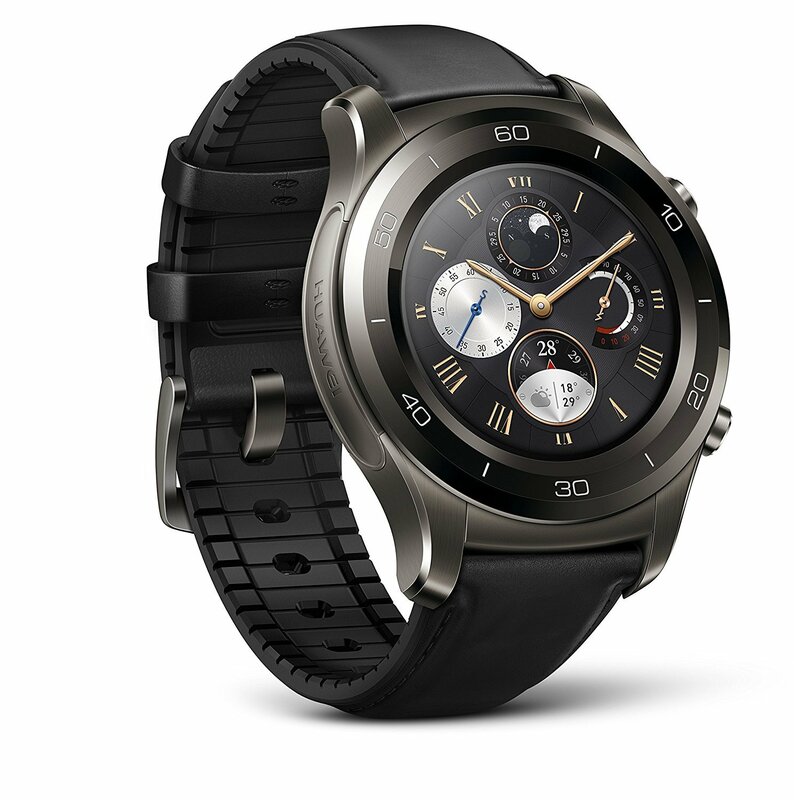 Huawei has created a universal smartwatch that will suit most users. The device has a good design, a modern mobile operating system and a number of small but extremely convenient parts that will serve its wearer every day. Huawei Watch 2 can be called a functional wearable device. These smart watches are protected from moisture and dust according to the IP68 standard so that you can not only walk in the rain with them but also feel free to go in the shower or go swimming in a pool. The main thing though is not to dive deeper than one and a half meters and longer than 30 minutes. Furthermore, you shouldn’t take this watch with you in salt water either. Worth paying attention to is the display function ‘Always On’. In this mode, after some time of inactivity, the dial will not turn off completely but will go into economy mode, in which the backlight will be slightly reduced and only the main information will remain on the screen. This saves battery but still allows the wearer to see the important information. Long battery life if minimum functions used. The display is clearly visible in the dark. Small battery life with GPS, barometer, and altimeter enabled. Well, TomTom Spark has a cycling mode that allows you to record data such as speed. You can also use the indoor cycling mode, which disables GPS and relies on the Bluetooth 4.0-speed sensor to measure distance and speed. Spark 3 also importantly includes the ability to track your swimming. However, it isn’t suitable for open water. In addition, in swim mode, the optical sensor is not included. 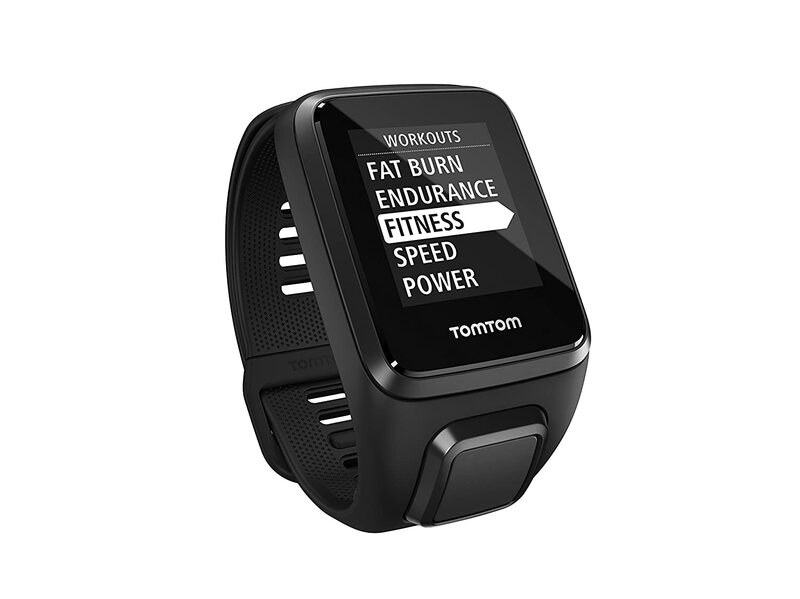 TomTom says they are working on it, but currently, it isn’t available. TomTom also moved away from the idea of counting and controlling the daily number of steps and goals. Instead, it made 7-day goals for steps and calories burned. The idea is that for various reasons you may have a less active Monday but then compensate for this on Tuesday. For an athlete -this is exactly what you need. Heart rate function does not always work accurately. Optical sensor does not work in water. We had to look through a lot of top smartwatches. As a result, we faced gadgets that were called by manufacturers as waterproof. However, this did not always correspond to the truth and we had to dig deeper. Some of the selected watches, despite their name, broke in the water. We searched for similar information in reviews from people who had such a problem. This made it possible to identify unreliable products and remove them from the list. Also, smartwatches may be marked by the IP rating. Our general advice is that it is best not to dive deep with any smartwatch but all those featured on this list are suitable for short immersions. If you are swimming, it is better to choose a waterproof watch that will be able to collect information during a session in the water. The best options are Apple Watch Series 4, Garmin Fenix 5X and Samsung Gear Sport. They can determine the number of calories burned, lengths, and the total distance that you swim during your workout, thanks to the built-in accelerometer. Most smartwatches do not have this feature. In this review, you can do it with the Apple Watch Series 4, Samsung Gear Sport. Casio Pro Trek WSD-F20 can only reply to messages, not answer calls. If you need your watch to monitor your health constantly throughout the day, then the battery life should be more than 1 day. Otherwise, due to recharging, you will not receive full information. The difference is that water-resistant gadgets can be exposed to short-term exposure to water i.e. if it is raining or you take it in the shower. They are not likely to endure a long time in the water. Waterproof gadgets can withstand a long stay in the water and can be immersed to great depths, depending on their rating. However, the problem lies in the fact that some manufacturers may mark their watches as waterproof due to ignorance or deliberate misleading. Therefore, check this information. What is the best waterproof smartwatch for swimmers? At the moment, we would say the best smartwatches for swimming are Apple Watch 4 Series and Garmin Fenix 5X. I need a smartwatch for the outdoors, which is the best one? For hiking in the mountains or other similar activities, we advise you to choose either the Casio Pro Trek WSD-F20 or SUUNTO Ambit3 Peak. Can you swim with the ip68 watch? Theoretically, the gadget with ip68 is able to withstand continuous immersion in water to the depth specified by the manufacturer. However, in practice, problems often arise, so we do not recommend using such gadgets for swimming. I hope that I have covered all the relevant questions regarding this topic. Now I would like to know from you: which waterproof smartwatches have you chosen and why? Will you use your watch whilst swimming? Or maybe you just want a water-resistant watch suitable to keep on whilst you wash the dishes? Anyway, I will be grateful if you leave a comment below.